It amazes me that nearly every fraternity pledge program concludes without teaching pledges anything about recruitment. Recruitment is the life-blood of the chapter. It is essential that the chapter takes the time to educate the pledges on how to recruit. 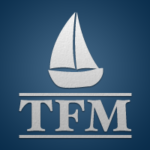 In order to properly teach a pledge class fraternity recruitment, two things need to happen. First, someone needs to sit down and talk to the pledge class about recruitment. 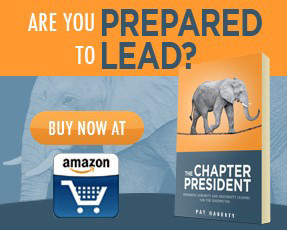 Common sense would dictate the chapter’s best recruiters should be the one’s leading the discussion. Don’t be afraid to utilize other important resources like your fraternity advisor. It would also be beneficial to have the pledge class read the articles I have written about recruitment. This first step is about building a foundation of knowledge that the pledge will be able to apply in the future. The second step is applying what they had learned. The most obvious way to apply what they had learned is to make one of their pledge nights a rush event. Give the pledge class a budget, and have them organize an event. Be sure the class and each pledge has a goal of how many guys they need to bring out. The brotherhood should fully support the event, but take a backseat role in its organization. There are several benefits to having a pledge-led rush event during the semester besides teaching the pledges how to recruit. Rush events are normally a lot of fun, and should be a good time for the fraternity. It gives the chapter a head start on the next semester’s recruitment. The pledges will often lean on their closest friends to attend their rush event. Getting these guys interested can provide a solid base for the next semester. It also forces the fraternity to share recruitment best practices with each other. The majority of the fraternity forgets about recruitment outside the two weeks of rush. Having an event mid-semester forces the brotherhood to think about how they recruit and hopefully the brothers will be able to pick up a tip or two in the process. At the end of the event, the pledge class will have exposure to one of the most critical components in the life of a fraternity. The pledges will have learned something valuable, and will become better brothers because of it.